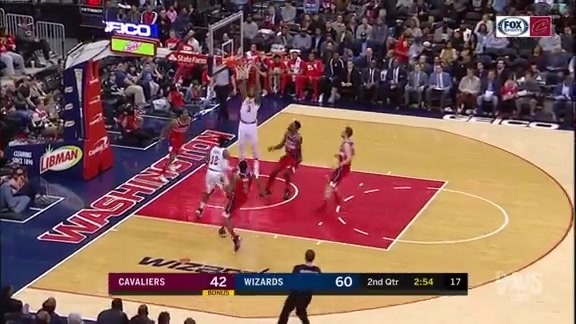 Cavs Rally Falls Short in D.C.
Wrap-Up -- Last week at The Q, the Wine & Gold nearly squandered a 25-point lead before holding off the Wizards late for the victory. On Friday night, Washington flipped the script. 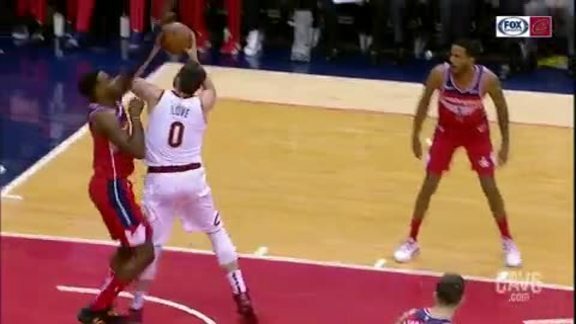 After falling behind by 20 points in the first half, the Cavaliers spent the rest of the evening trying to rally their way back – cutting Washington’s lead to just three late in the third period before finally running out of gas in the fourth – falling, 119-106, at Capital One Arena to split the season series. But as good as the Cavaliers’ new arrival was on Friday night, the Wizards’ acquisitions were that much better. Bobby Portis and Jabari Parker, shipped over from Chicago at the Deadline, were the difference in this one. 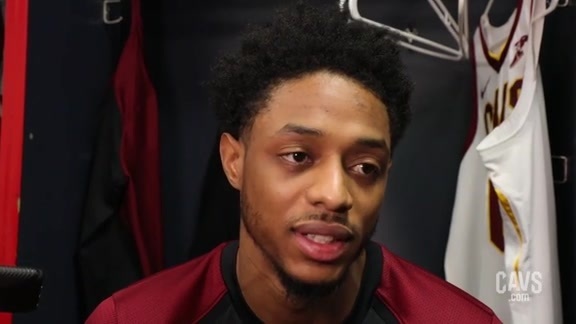 Portis was almost unstoppable from the floor – leading both teams with 30 points, going 12-for-17 from the floor, including 4-of-6 from long-range, in 28 minutes of work off the bench, adding five boards, a steal and a block. Parker didn’t do as much damage scoring the ball, but he did mange to lead Washington with 11 boards in 24 minutes of action in relief. Portis drilled his first six shots of the night and piled up 16 points before the end of the first quarter, with Washington taking a two-touchdown lead after one. 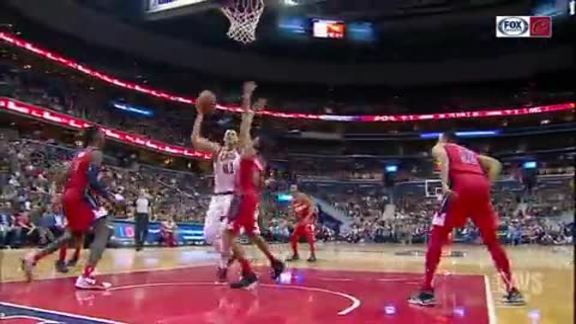 After a back-and-forth second quarter, the Wizards led again by 14 at intermission. The Wine & Gold cut that edge to three points with under a minute to play in the third quarter and go within six midway through the fourth, but they’d used up most of their fuel on the comeback and didn’t have much left for the closing moments. Friday’s contest also marked the return of five-time All-Star, Kevin Love, who’d hadn’t seen game-action since October 24. 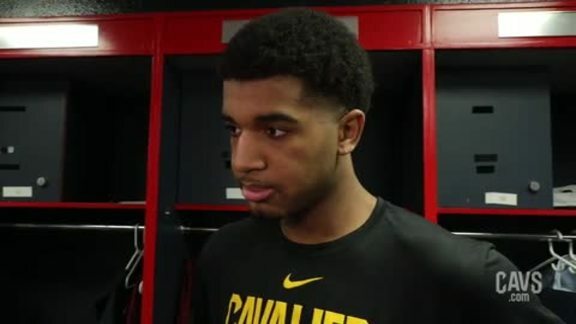 Marquese Chriss scores in double figures in his first game with the Wine & Gold. Love wasn’t slated to get much of a run on Friday night and that was indeed the case – looking fluent and comfortable in just under seven minutes of work – finishing with four points on 1-for-5 shooting. Collin Sexton picked up the scoring slack for Cleveland – netting a game-high 27 points for the second straight game, going 10-of-18 from the floor, including 3-of-7 from deep and 4-of-4 from the stripe, adding four assists and three boards. Jordan Clarkson bounced back from one of his roughest outings of the year last Tuesday against Boston – notching 24 points in 31 minutes off the bench, going 6-of-18 from the floor and 10-of-11 from the line to go with six boards, three assists and a steal. David Nwaba had another impressive outing – finishing with 17 points on 6-of-11 shooting, adding eight boards and a pair of steals. Larry Nance Jr., who’d doubled-up in three straight outings off the bench, did so again as a starter on Friday night – overcoming a difficult shooting night to finish with 10 points and a game- and career-high 19 boards, nine of those off the offensive glass, to go with team-highs in assists (6) and steals (3). The Cavaliers shot just 38 percent from the floor, but canned a dozen triples and were 22-of-25 from the stripe. 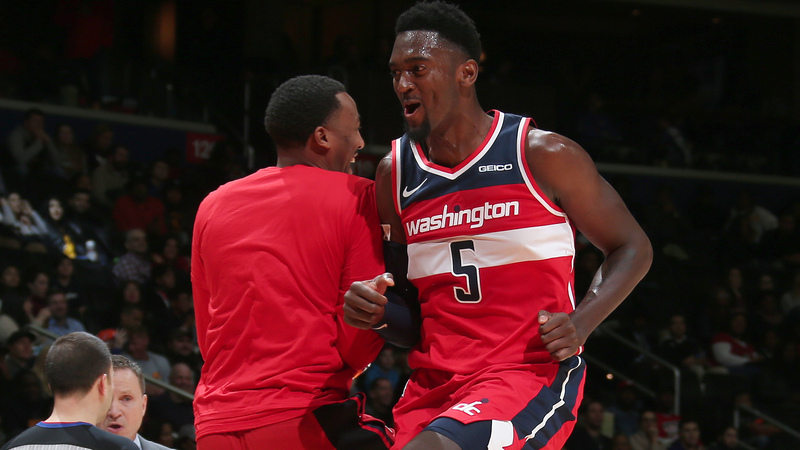 They outdid Washington on the boards, 52-47, but the Wizards handed out 34 assists – a game-high 13 by Bradley Beal – to just 21 for the Wine & Gold. 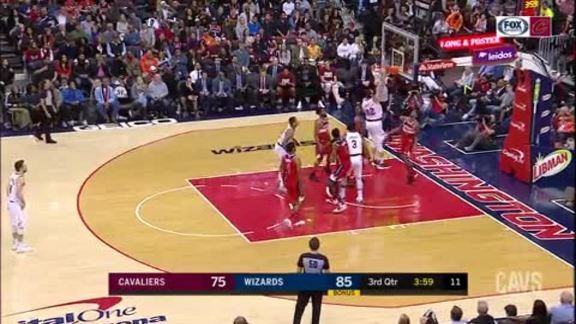 Turning Point -- It’s hard to argue with Coach Larry Drew on this one: the turning point of Friday’s game was the first quarter – with Washington overwhelming the Cavaliers right out of the gate and putting them in catch-up mode the rest of the way. The Wizards new duo, specifically Portis, led the charge. Leading by just one with 4:33 to play in the period, Parker opened the surge with a triple, followed immediately by 12 straight points from Portis, who would go on to score 16 points in the final 3:42 of the quarter, setting the stage for the remainder of the night. By the Numbers – 27.0, .500, .429, 1.000 … Collin Sexton’s scoring average and shooting percentages from the floor (21-42), beyond the arc (6-14) and from the stripe (6-6) over his last two games – adding 3.5 assists and 3.5 boards per. Up Next -- After falling on Friday night in D.C., the Cavaliers close out the road portion of their schedule before the All-Star Break on Saturday night – wrapping up the back-to-back with their final meeting of the season against the Indiana Pacers. The Wine & Gold return home to face a pair of New York squads next week – welcoming the Knicks to town on Monday night followed by the final game of the unofficial first half, taking on the Brooklyn Nets. 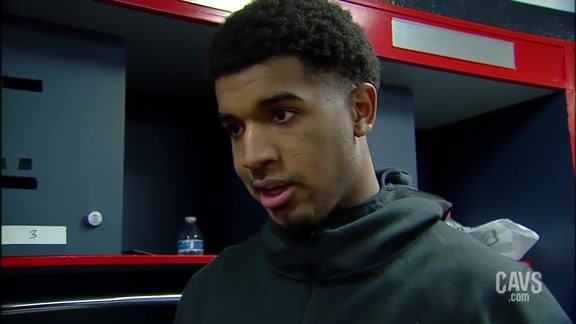 Cavaliers forward Marquese Chriss spoke with the media following Friday's loss to the Washington Wizards at Capital One Arena. 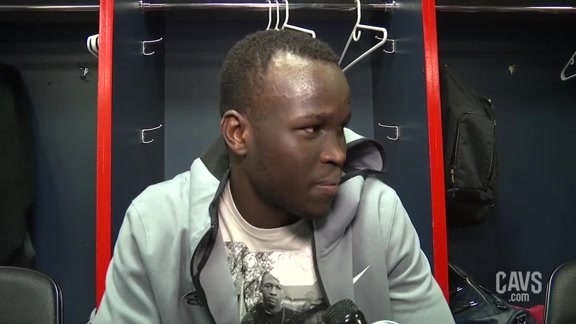 Cavaliers guard Deng Adel spoke with the media following Friday's loss to the Washington Wizards at Capital One Arena. 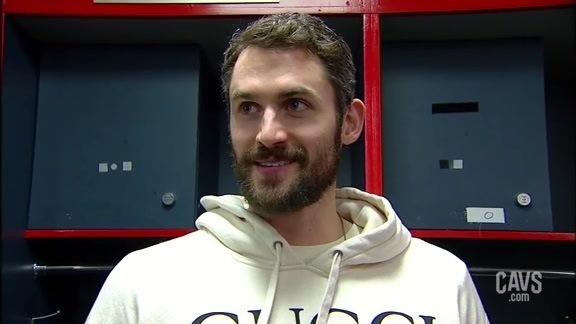 Cavaliers forward Kevin Love spoke with the media following Friday's loss to the Washington Wizards at Capital One Arena. 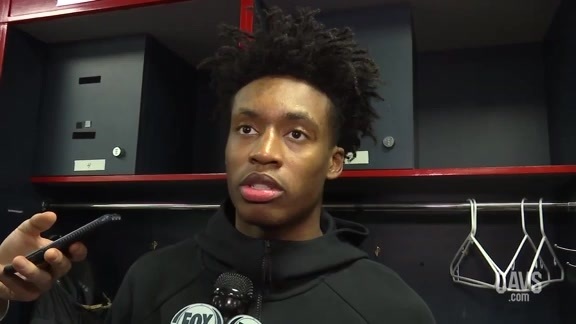 Cavaliers guard Collin Sexton spoke with the media following Friday's loss to the Washington Wizards at Capital One Arena. 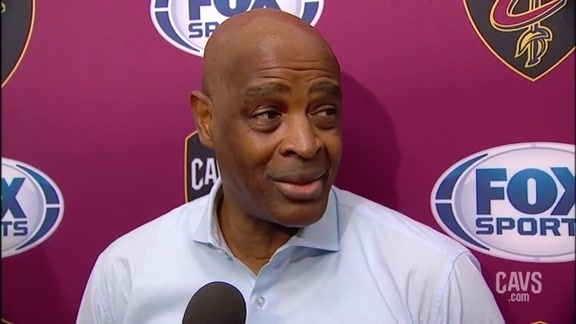 Cavaliers Head Coach Larry Drew spoke with the media following Friday's loss to the Washington Wizards at Capital One Arena. 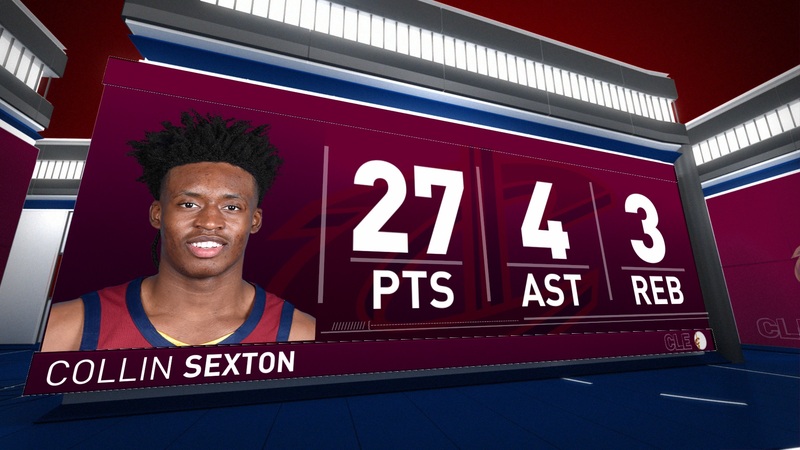 Collin Sexton heats up for 27 points as the Cavaliers lose to the Wizards. Jordan Clarkson throws the perfect lob pass to Marquese Chriss who throws the hammer down. 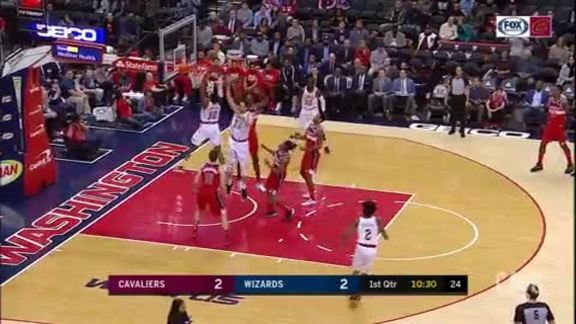 Multiple efforts by Larry Nance Jr. results in an emphatic finish at the rim. Collin Sexton draws the defense to him and drops off the pretty dish to Ante Zizic for the slam. Larry Nance Jr. snatches the rebound and starts his own fastbreak resulting in a finger roll finish. Jordan Clarkson takes it strong into the paint and gets the bucket to fall, plus the foul. Collin Sexton throws it ahead to Marquese Chriss for the easy slam in transition. Matthew Dellavedova spots a cutting David Nwaba who deposits the dunk. Matthew Dellavedova and Ante Zizic work the two-man game as Delly dimes Big Z for the layup in this ‘More Driven Highlight’ driven by Goodyear. 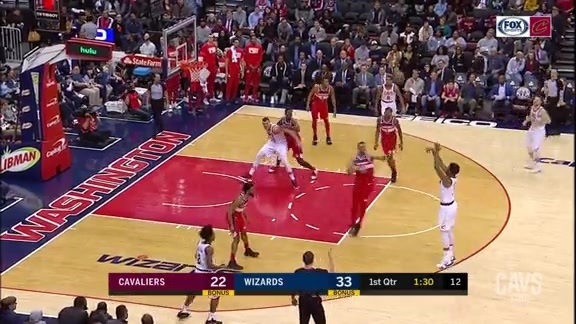 Marquese Chriss sees his first action as a member of the Wine & Gold and knocks down a triple for his first points as a Cavalier. 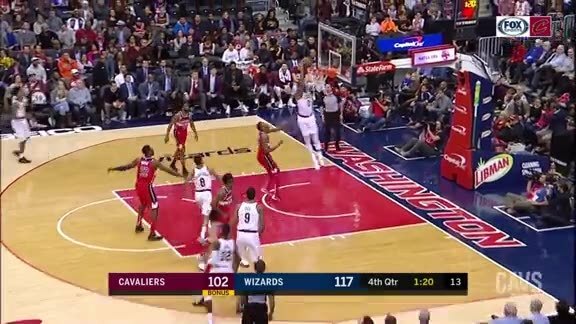 A welcome site for Cavs fans as Kevin Love muscles his way into the paint and gets the bucket to fall for his first field goal back since late October. David Nwaba crashes the offensive glass and skies high for the putback finish. Brandon Knight speaks with the media for the first time as a member of the Wine & Gold pregame at Capital One Arena in Washington, DC. Newly acquired big man, Marquese Chriss, speaks with the media pregame at Capital One Arena about joining the Wine & Gold. 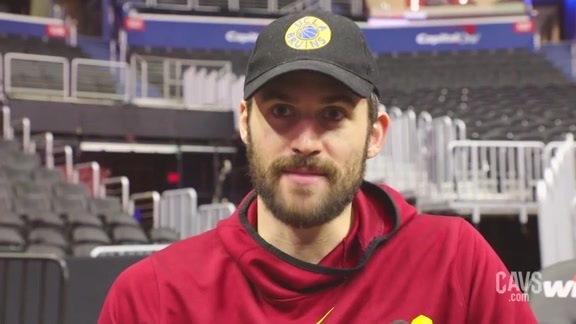 Cavaliers forward/center Kevin Love spoke with the media prior to Friday's shootaround at Capital One Arena as the Wine & Gold prep for the Washington Wizards. 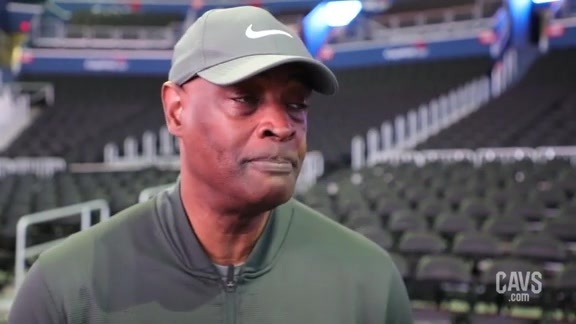 Cavaliers Head Coach Larry Drew spoke with the media prior to Friday's shootaround at Capital One Arena as the Wine & Gold prep for the Washington Wizards.